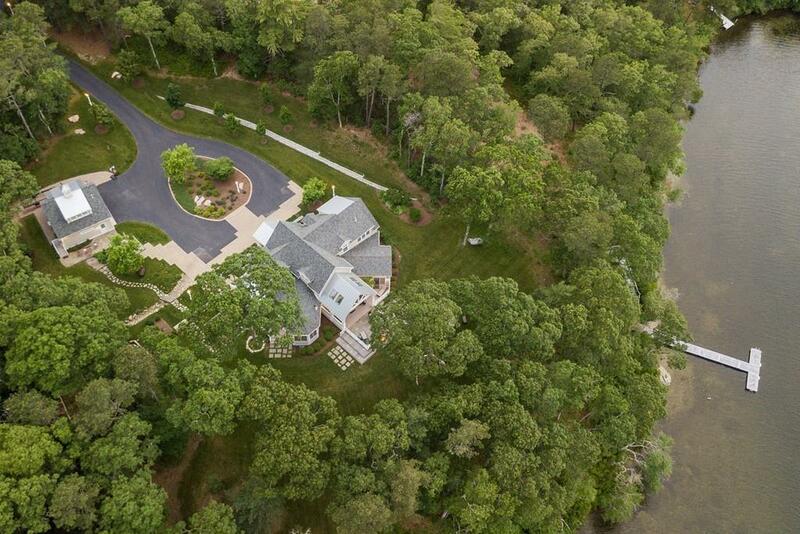 LIVE PONDFRONT - A private compound with 235' of frontage on Great Herring Pond offering an exclusive dock for boating , swimming or seaplane. You must see it to experience the thoughtful design created in this residence which captures a lifestyle combining elegance, practicality & comfort. When you first enter the home you will appreciate the concept that allows the outdoors to resinate throughout the home with floor to ceiling walls of glass and expansive ceilings heights. State of the art custom details inside and out. 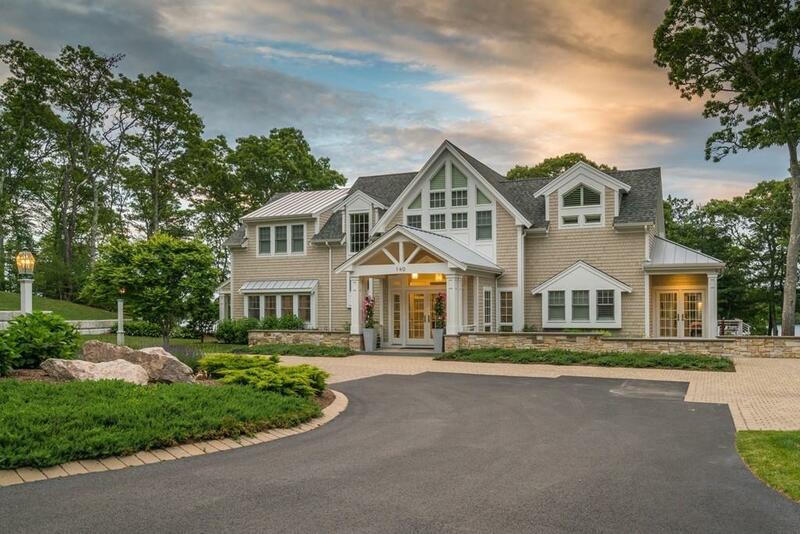 The main residence hosts 3 levels of living with 4 bedrooms; including a private master wing. Additionally there is a separate guest suite over detached garage. 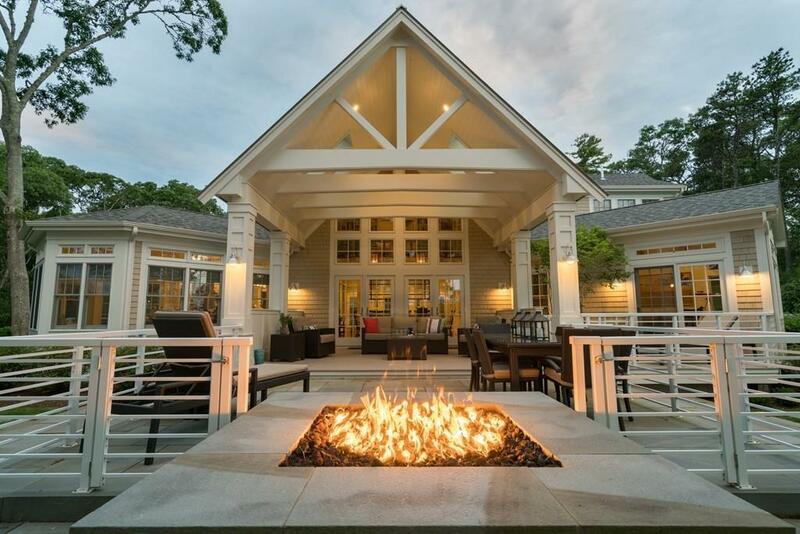 Equally as magnificent is the outdoor use of living space perfect to quietly relax in paradise surrounded by nature or for entertaining friends & family around the large gas fire pit. 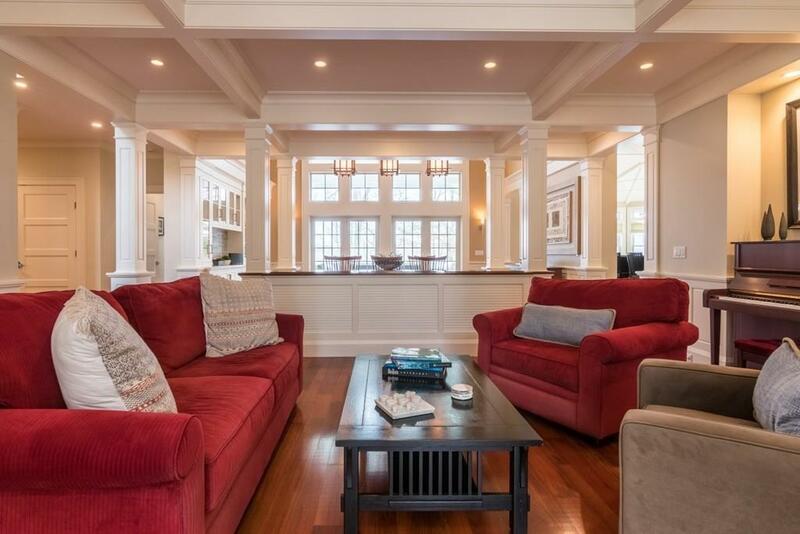 This Nantucket style custom home provides easy access to Cape Cod, The Islands & Boston by car, sea or plane!! Disclosures Seaplane is Not included. One Fireplace is in The Kitchen The Other is A Fire Pit Located On The Exterior Patio.